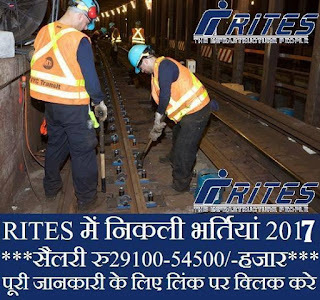 RITES Recruitment 2018, Haryana has for 34 Diesel Loco Maintenance staff vacancies in RITES. Applicants who having Diploma, ITI in Mechanic/Elec./ Fitter/ MCM/ AME/ SSE or its equivalent qualification from a recognized Board / University. Can apply through the prescribed format before 28.02.2018. Applicants may send application form to Rail India Technical and Economic Service office. Applicants form is available on Rail India Technical and Economic Service website. www.rites.com. Address: Group General Manager (res-SBU) RETES LTD. 2rd Floor Bhavan, Plot No.1 Sector 29, Gurgaon (Haryana). Education qualification: Diploma, ITI in Mechanic/Elec./ Fitter/ MCM/ AME/ SSE or its equivalent qualification from a recognized Board / University. Age Limit: Candidates for age details go to advisement. 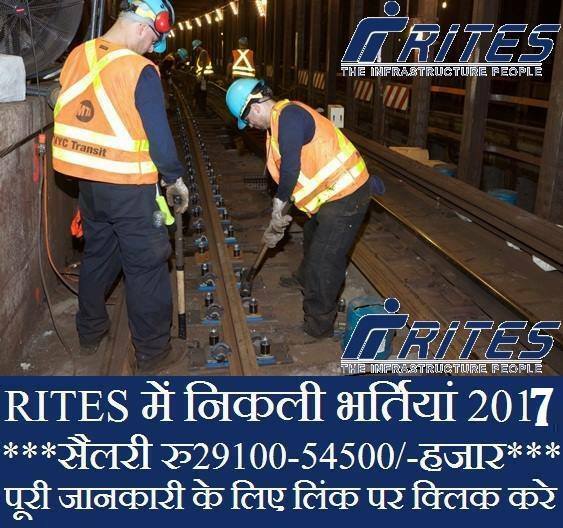 How to apply: Eligible applicant require to send their applications through official website www.rites.com. After filling the application form, candidate must send hard copy of application along with relevant testimonials to the following Address before or on 28.02.2018. Write on the envelope “application for the post of Diesel Loco Maintenance staff”. Application should be Reach to: - Group General Manager (res-SBU) RETES LTD. 2rd Floor Bhavan, Plot No.1 Sector 29, Gurgaon (Haryana).